Are you a glass half-full person? All too often in life, it's easier to focus on the negative rather than the positive. Generally, I like to think of myself as a 'glass half-full' person but events of the last few months have taken their toll and my outlook has been somewhat clouded by a general shroud of emotional fog. Finding things that made me happy has been somewhat of a challenge. In my training classes it struck me that the human tendency seems to be to focus on the negative, mistakes or 'training disasters'. If I asked a question like: "How has your week been with Fido?" I'd receive a range of answers, normally along the lines of: "Oh, Fido's been really naughty this week," "Fido won't stop chewing" or "Fido just ignores me when I ask him to do something." Somehow, the positive experiences weren't making it through into people's psyches. So, rather than starting my classes with a generic question about how the week has gone, all class members are encouraged to share a positive experience from their week. It can be any thing that their dog has done to make them proud or happy, something they find cute about their dog, any improvements in training (no matter how small or incremental) or any training successes. And, even if I do say so myself, this change in focus has had quite an impact - both on me and my classes. Classes start with even more of a positive vibe. Concentrating on and pinpointing the things that make us happy is good - not just for us, but for our dogs too. It's amazing what a difference this subtle change in question has achieved. All too often, we concentrate on 'what could have been', 'missed opportunities', 'life's annoyances' and before we know it, we're looking at life as a 'glass half empty.' Quite frankly, this is exhausting - it saps the energy out of us, makes us concentrate on minutiae and ignore the bigger picture of the life that is happening to us now. Have we forgotten what it's like to be happy? In my opinion, happiness is a transient state - fleeting moments in time. But, what if all those fleeting moments could be captured? Would they add up to make a solid state of happiness? 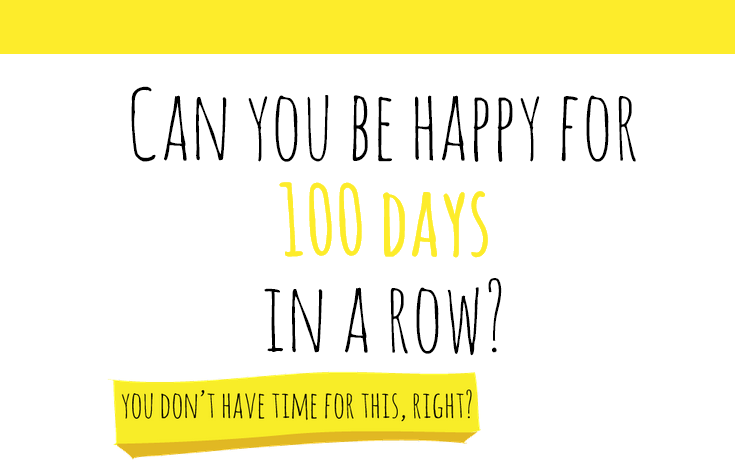 Well, that's where the "100 Happy Days" challenge comes in. If you use social media at all, you will have probably seen some photos using the hashtag: #100happydays The aim is to share a photo, every day, of something that makes you happy and to do this for 100 consecutive days. The organisers hope/believe that by participating in, and completing, the challenge that happiness levels will increase. I'm all for increasing happiness and getting my 'glass half-full' mojo back, so decided to start my challenge a week ago on 11 April. I'm a bit of a shutter monkey and love taking photos with my iPhone, and I figured that I'd give the challenge a go. At the time of writing, I'm a week into the challenge and I can honestly say that, yes, I am feeling a tad happier. It may be early days, but I feel that this challenge will make a difference to how I feel. I'm sharing my photos via Instagram and if you'd like to see what makes me happy on a daily basis, you can follow me on Instagram or Twitter. And, if you decide to take the #100happydays challenge do let me know - the world could certainly do with more happiness to spread around. Personally, I don't like using the word 'treat' in dog training. In my opinion we're not 'treating' our dogs; we're paying them for a job and different jobs require different pay scales. These thoughts resulted in the following photo and a post on my Happy Hounds Facebook page. The post has proven to be so popular (and as Facebook doesn't share information with Google) I thought I'd share it via my blog! 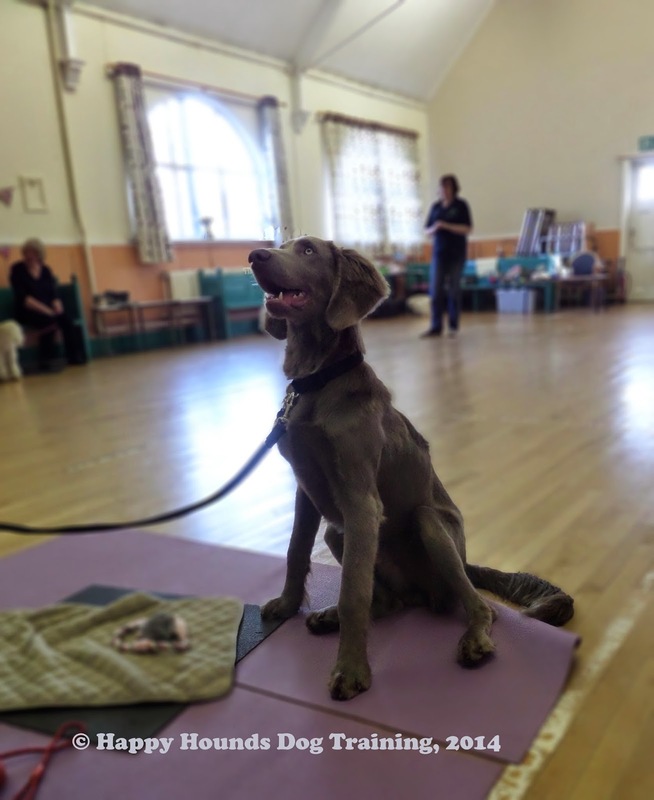 At my training classes and consultations, I sometimes come across people who are reluctant to use food when training their dogs; they feel that their dogs 'should just do what they are asked' or that they are 'spoiling' their dog by giving them food treats. I don't like to think of the food as a 'treat' - to me, the word 'treat' is synonymous with being spoiled or indulgent (thanks, mainly, to chocolate and luxury goods adverts) - whereas, in reality, food is a dog's pay for doing a job we ask them to do. 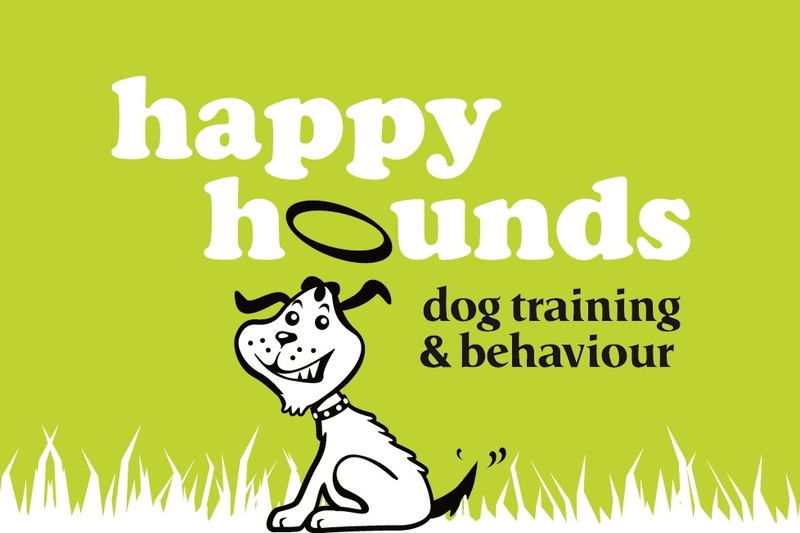 I always try to avoid using the word 'treat' in my Happy Hounds Dog Training classes and explain how the food we use in training should be thought of as the dog's pay and I use the concept of 'doggy pay scales' to explain it. Routine jobs may only merit a basic salary - represented by kibble in the photo. A routine 'job' can be a behaviour the dog knows well, or is still learning, but knows well in a certain context - such as practising loose lead walking in your garden, where there are minimum distractions; or waiting politely for you to put the food bowl down before eating. When we start increasing the difficulty of the 'job in hand', we need to start paying an 'enhanced salary' (represented by meat and cheese in the photo) - especially if we want to guarantee that our dog learns how to do the job well. As for food being a bribe... well, it 'could' be viewed as a bribe when used in luring behaviours where the food is used as an inducement (the lure) for the dog to perform the cued/desired behaviour. However, in most cases, the food is delivered after a behaviour/job is completed successfully. For this, the delivery of the food is contingent on the dog performing the cued/desired behaviour and, to me, this is the equivalent of pay - pure & simple. I don't think many humans would view their daily/weekly/monthly pay packet as a bribe - do you?! ?